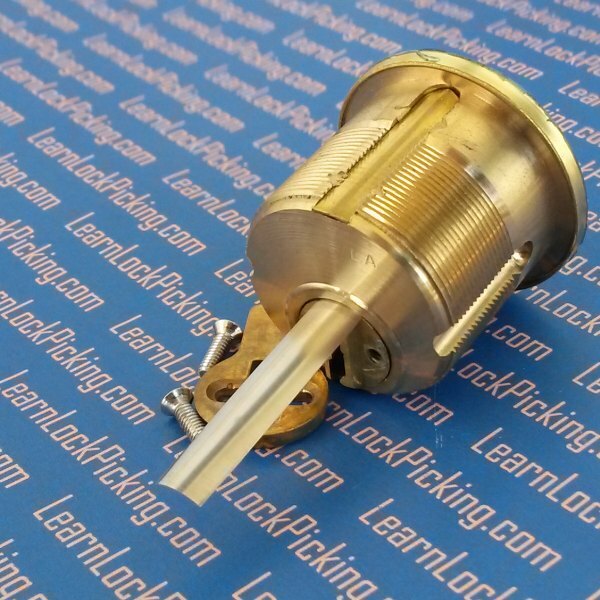 Used to disassemble or open locks from the rear of the cylinder. Slips between the lock plug and housing and helps separate the top pins from the bottom pins. SKU: cylinder-shim. Category: Locksmith's Tools. 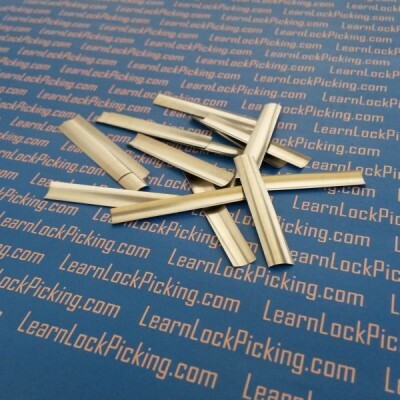 Lock cylinder shims provide an easy way to open a lock cylinder for servicing. 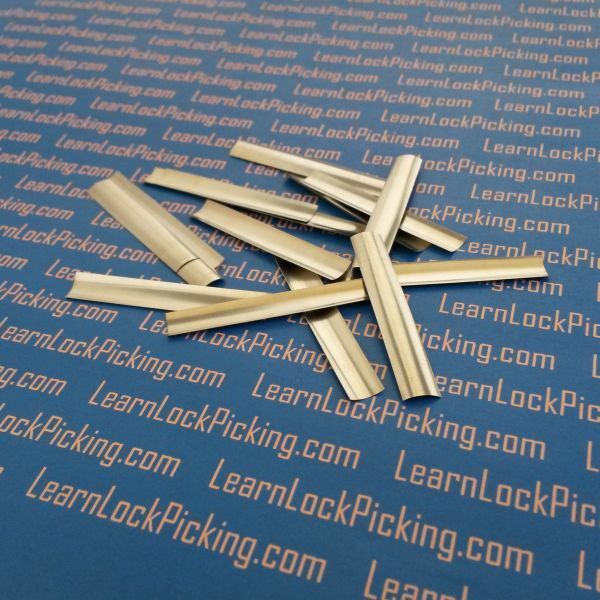 Inserted into the rear of the lock cylinder, these shims slip between the top and bottom pins when the pins are manually raised with a lock pick. This allows the locksmith to get all pins to the shear line in cylinders that are difficult to pick. Cannot be used from the front of the cylinder so these are for servicing cylinders that are already removed from the locks. Works on key-in-knob cylinders, mortise cylinders, rim cylinders, plus others. Curved to fit the gap between plug and housing. Worth it to stock up! 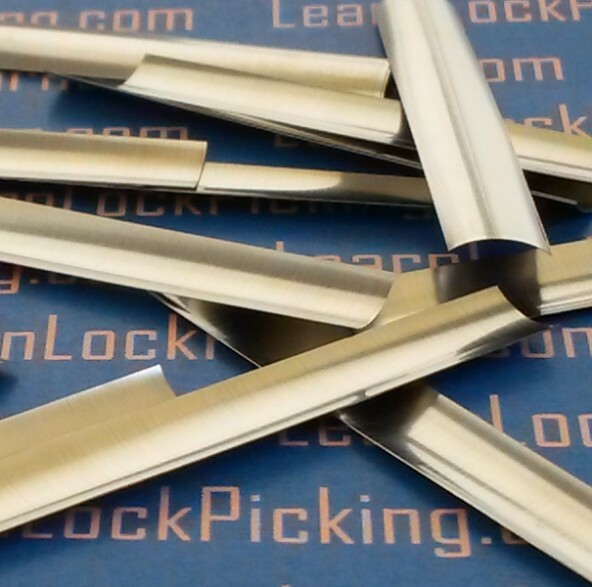 Use these to shim the lock from the rear. If the end gets damaged, don’t worry. Take scissors and trim the damaged end a bit and you’re ready to re-use the shim again! Each shim can be used many times like this.